“Coton” is the French word for cotton. 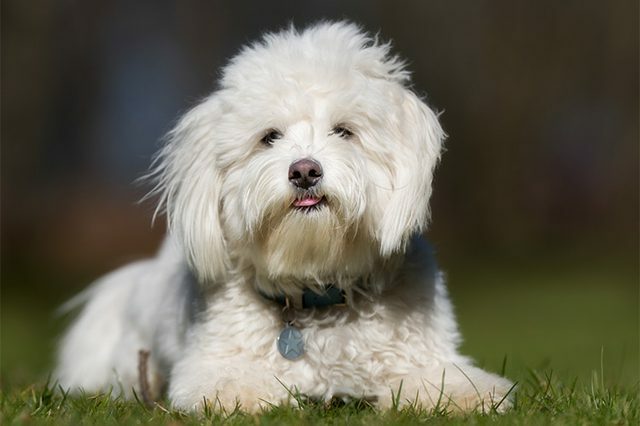 Like the name suggests, the most conspicuous feature of the Coton de Tulear is its coat, which is cottony or fluffy rather than silky. It has a long topcoat. The fluffy hair covers the thin, lightly-muscled forelegs. Colors come in white and black, and white and tri-colored. Some have slightly yellowish markings on the ears. Cotons are happy dogs that thrive on human companionship. Puppy kindergarten and obedience training are recommended. They should not be left unattended for long periods of time. They are extremely sturdy and versatile, excelling in all types of dog activities, from agility to therapy. The breed gets along well with other dogs, cats and children provided that proper socialization is given. 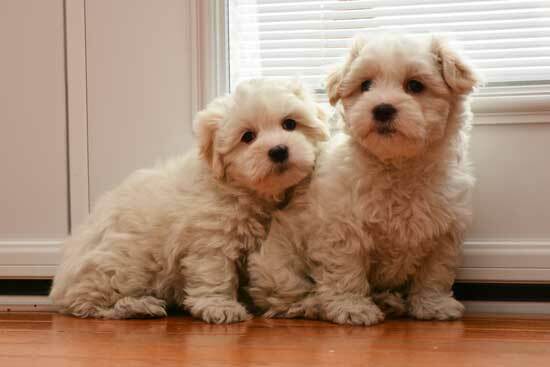 The Coton de Tulear originated on the island of Madagascar and is related to the Bichon Frise and the Maltese. The Coton loves being with people and dislikes being separated from them. The Coton is smart and takes well to training. He's an enthusiastic participant in agility and obedience competitions. 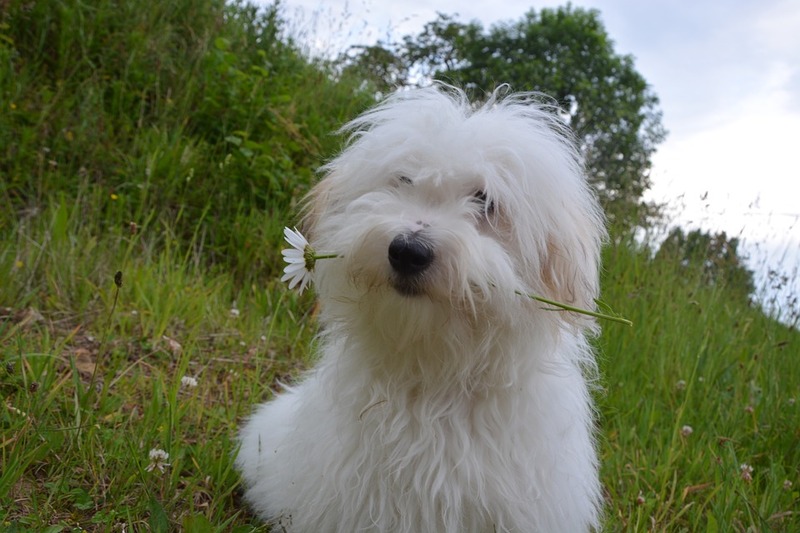 The Coton is a hardy dog, but he's a companion breed who should live indoors. He's particularly well-suited to apartment living. Cotons enjoy playing and going for walks, but they adjust their activity to their people's level. Cotons require brushing several times a week to prevent mats and tangles from forming. Bathe them as needed, weekly or monthly. 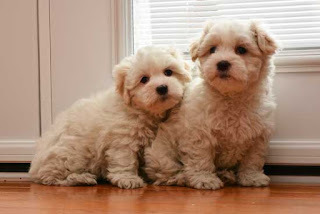 Coton puppies need extra grooming while their adult coats are coming in, usually between seven and 15 months of age. 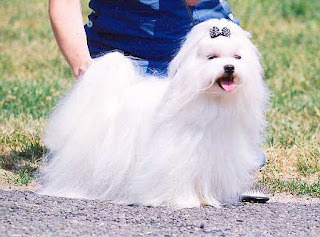 Coloration: white (sometimes with tan markings; all white is preferred by show breeders); black and white; and tricolor. The happy and boisterous Coton is a people-pleaser, who wants nothing more than to spend time with his humans. He forms strong bonds with family members and doesn't like to be separated from them. He's smart and easy to train, responding well to praise, play, and food rewards. He'll play the clown for attention, which he loves. Cotons may bark once or twice if the doorbell rings or they see something interesting, but they don't generally bark just for the fun of it. Guests and intruders alike run the risk of being licked to death. Females are more independent than males and often rule over them. Like every dog, Cotons need early socialization — exposure to many different people, sights, sounds, and experiences. Socialization helps ensure your Coton puppy grows up to be a well-adjusted, happy dog. 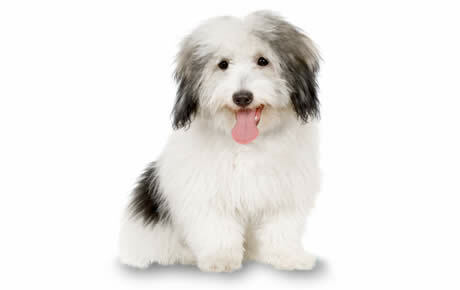 The Coton de Tulear is a relatively health breed. There are a few issues seen in this breed, but they are not widespread. These include Neo-Natal Ataxia, Luxating patellas, Hip Dysplasia and Progressive Retinal Atrophy. 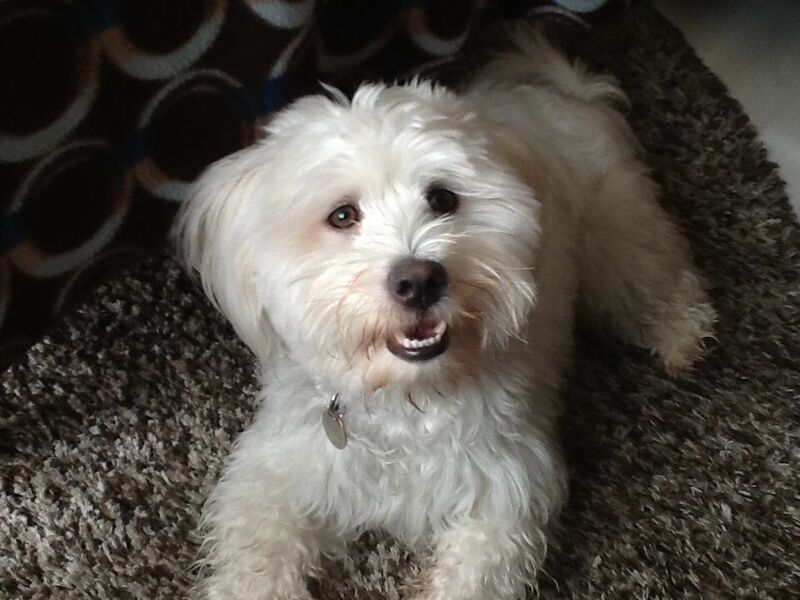 The Coton is a hardy dog who enjoys playing in all types of weather, including snow and rain. But he should always live indoors with his people (as should all dogs). He's well-suited to living in any environment, from apartments to ranch houses, but if he has a yard it should be fenced so he doesn't wander off — or get stolen away by someone who admires him as much as you do. Some people find the Coton difficult to housetrain, but given a regular schedule, frequent outings to do his business, and praise when he potties in the right place, a Coton can pick it up very quickly. Crate-training can help him learn to wait until he's taken outside to potty, as well prevent him from getting into trouble when you're not around to supervise. Cotons take well to training, especially when it's presented in a positive manner. Reward him with praise, play, and treats, and let him know what a great job he's done. Remember that his goal is to please you. The Coton de Tulear is a real people-pleaser and he’ll want to please you when it comes to training. 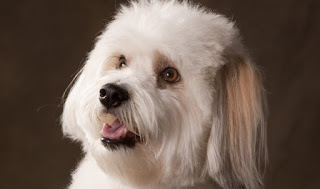 Because this breed is intelligent, you’ll find that your Coton picks up on basic training quickly. Use positive training techniques and be sure to reward him with praise, play, and treats. After the basics have been mastered, move on to other challenges, such as agility training, doggy dancing and tracking exercises. 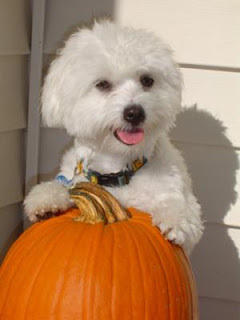 Although they are easily trained, the Coton can have issues picking up the finer points of house-breaking. Crate training will help your dog learn where it’s okay to do his business. 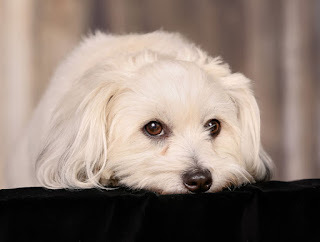 The Coton is often content with being lazy and curling up next to you, but he does enjoy and can use exercise and activity. The Coton used to run alongside his master on horseback and has often been well-regarded for his stamina and durability. Cotons may look like frou frou dogs, but they can walk over various terrain, love an expedition on a wooded trail, will welcome a long walk, or a hearty, fast paced activity like Agility or just a rousing game of fetch or chase. Cotons have good speed, especially for their size, and can jump well for their size also. As with many dogs, a good exercise routine can help keep excess energy away, help give them a more fulfilling day, and satisfy an instinctive need to wander, explore, and leave "pee-mail". In addition, regular outings can give them more opportunities for socialization, both with dogs and people, which can be very important if you have a Coton that's on the shier side of the personality scale. Don't forget the mental exercise as well. Remember that the Coton loves a mental challenge and that will also help to burn off energy, often times even faster than a physical activity of the same duration! Grooming tools you should have on hand for the Coton include a small or medium-size slicker brush to remove mats and dead hair, a comb to remove food or other debris from the facial furnishings , a nail trimmer and styptic powder in case you accidentally cut into the quick and cause the toenail to bleed, and a good coat detangler recommended by your dog’s breeder or groomer. Cotons are good with kids if kids are good with them. They're fun-loving and energetic enough to be playmates for older children who treat them respectfully, but they'll learn to hide from clumsy younger children who may pat them too hard or accidentally kick them or step on them. Teach your child to never approach any dog while he's sleeping or eating or to try to take the dog's food away. No dog, no matter how good-natured, should ever be left unsupervised with a child. Cotons prefer the company of people, but they get along well with other Cotons, dogs of other breeds, and cats. If his people aren't around all the time, a Coton will appreciate having the company of another animal. Is the Coton de Tul̩ar the Right Breed for you? Easy Training: The Coton de Tul̩ar is known to listen to commands and obey its owner. Expect fewer repetitions when training this breed.